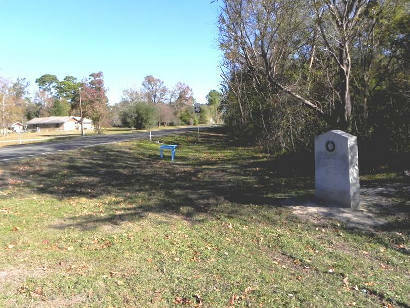 Sebastopol, Texas, aka Bartholomew, Texas. Prior to the Civil War, Bartholomew (the original name) was a river port. 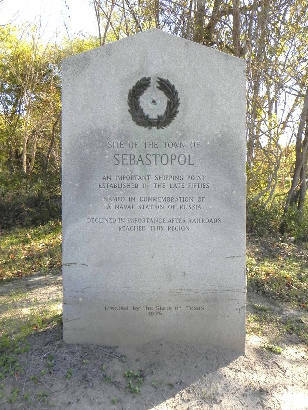 Russian immigrants settled here in the 1850s, naming it after a town in the Crimea � a port on the Black Sea. The population was said to have reached 500 residents prior to the war but was reduced by an outbreak of Yellow Fever. The Russians shipped local cotton back to Russia via coastal ports. 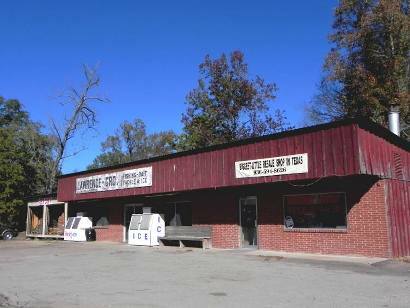 He community was granted a post office in 1860 which continued through the Civil War and was closed around 1872. 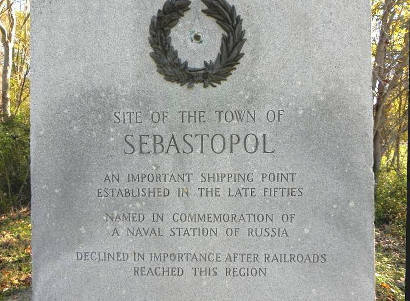 As railroads took business away from the river traffic, Sebastopol declined dramatically. At one point only a store and a few diehard residents remained. 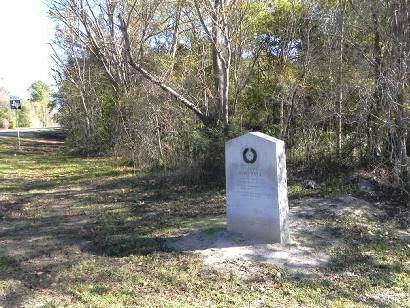 When the Centennial marker was placed here in 1836, there was virtually nothing left of the town. The 1990 population was estimated to be 31 � which increased to 120 for the 2000 census.